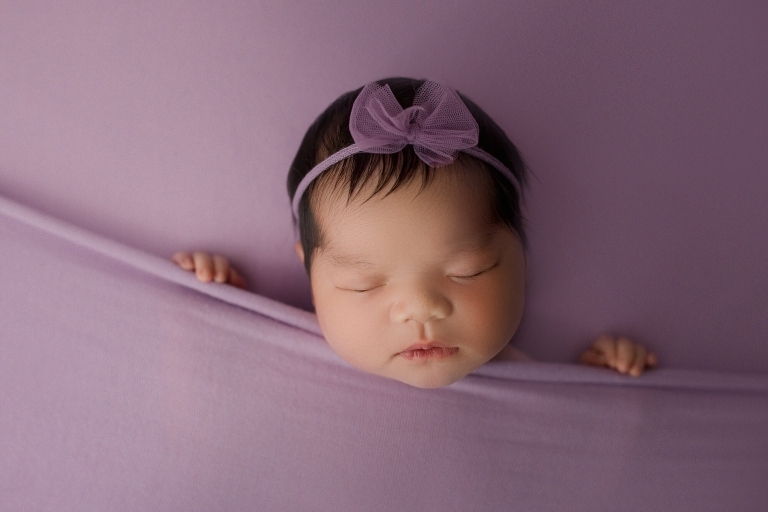 As a Seattle Newborn Photographer, I get a lot of diversity in my studio! I’ve had quite a few asian babies in the last year and I always get excited when I see them walk into my studio! I’m a quarter Korean, so I have a special place in my heart for the asian culture. 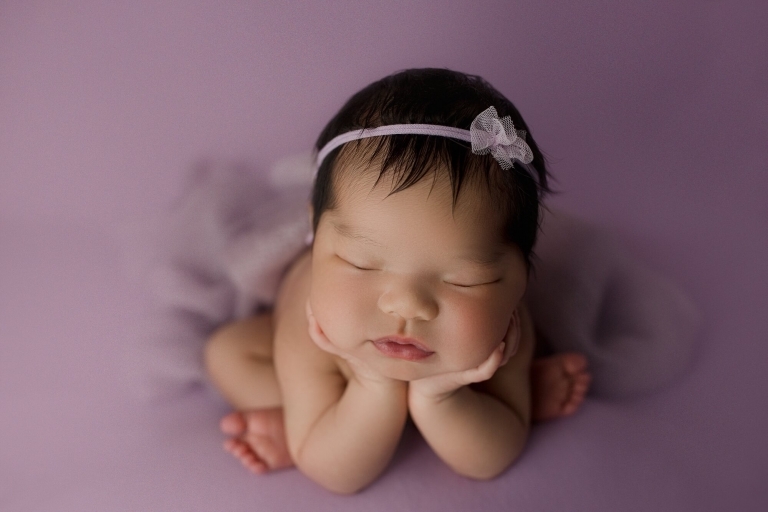 Asian babies always have the best skin and hair too, which makes editing a breeze! And this little girl was no exception! I mean, look at that beautiful head of dark hair! The color mom chose for her session is my favorite for girl sessions! This particular drop is from One Sheep Two Sheep and its named Wisteria. Its the most gorgeous lavender color and I get giddy every time I get to use it! The matching tiny bow band is from Goodnight Moon Props and its an exact match! I love that mom also chose gray for her newborn baby session! It doesn’t get chosen often for girls, so when I get to mix things up, it always makes me happy! 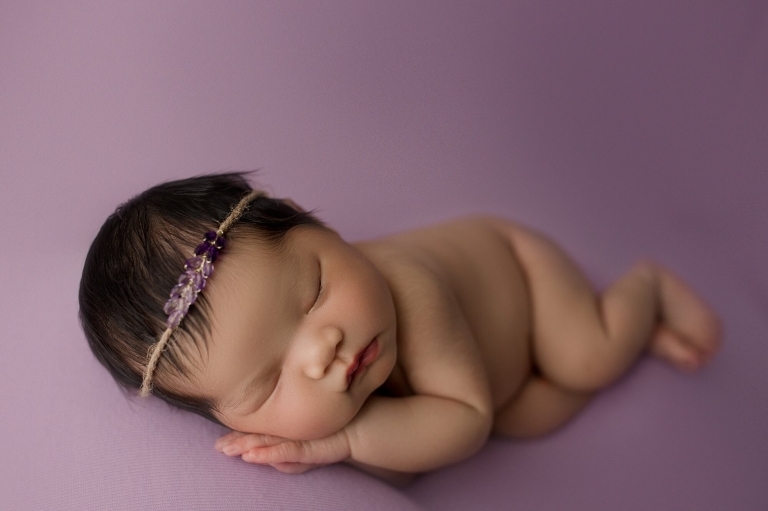 Christina Mae Photography is a Seattle newborn photographer located in Puyallup, Washington. 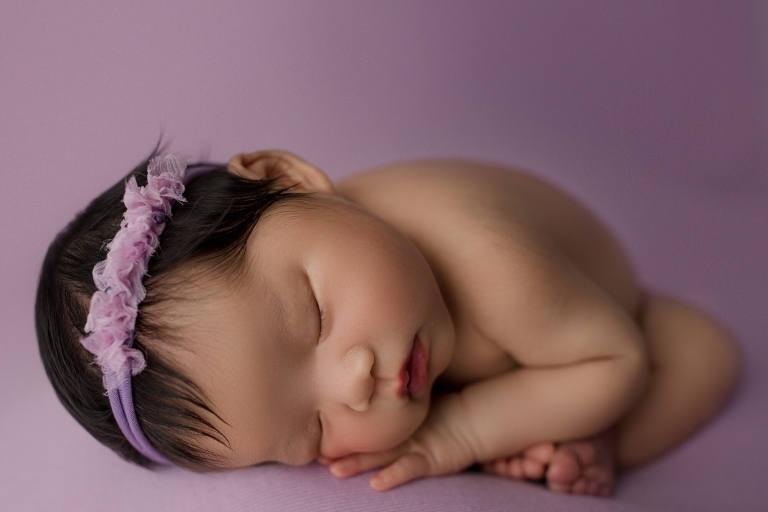 Tina is a newborn, baby, maternity, family and child photographer serving Seattle, Tacoma, Bellevue, Gig Harbor, Puyallup, King and Pierce County.